REGISTRATION: You may pay at the door for individual classes ($15 each) or save money by registering for the full 3-part course. Payment in advance guarantees you a place and speeds up the process at the door. Payment in advance will be available until Mar 30 at noon or until the pre-registration maximum is reached, whichever comes first. PRE-REGISTRATION IS NOW CLOSED. Drop in Seating is still available, so please join us. Out of confusion and ignorance we misapprehend reality and perceive ourselves in a state of painful isolation from others and our world. We view our limitations as real and we feel stuck. But our limitations are not real. The actual nature of things is emptiness, which means things do not exist outside the mind, but as mere appearances arising from our mind. Understanding this naturally frees our mind from our sense of limitation and insecurity and fills our mind with happiness. 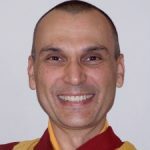 In this 3-part course we will learn to meditate on the profound object emptiness, or ultimate truth. Gaining even just a little insight into this object can profoundly change our understanding of our self, and our world. It is recommended that you attend the course in its entirety, but you may drop in to any individual session. Emptiness For Beginners. Out of confusion we misperceive the way things exist and live within this hallucination as if it were the truth. We view our limitations as real and we feel stuck. But our limitations and the world we normally perceive are not real and as solid as they seem to be. The actual nature of things is emptiness, which means things do not exist outside the mind, but are mere appearances arising from our mind. Understanding this frees us from our sense of limitation and insecurity and fills us with a sense of possibility and joy. Meditating on Ultimate Truth. Buddha said that all phenomena are like a dream or like an illusion – things appear to exist independent of our mind but they in fact do not. 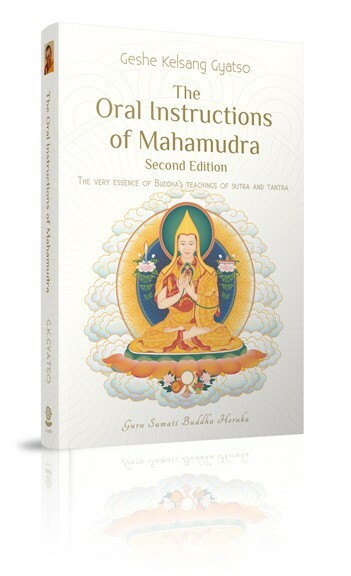 Buddha explained very clear and systematic trainings in this most profound wisdom. The wisdom realizing ultimate truth emptiness is the door to liberation and enlightenment. Living Lightly. There is nothing more meaningful and more useful than Buddha’s profound teachings on emptiness, ultimate reality. If we make no effort to improve our wisdom we shall always remain ignorant of ultimate truth, the true nature of reality. Buddha’s liberating wisdom of emptiness teaches us how to live everyday with ease, free from physical and mental pain. Finally, we will experience the deepest inner peace or Nirvana. NOTE: Advance booking will end at noon on March 30th or when 30 people are registered, whichever comes first. This is to ensure there is sufficient room for walk-ups.